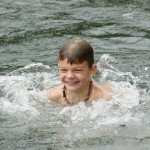 Campers swim in the beautiful Greenbrier River. 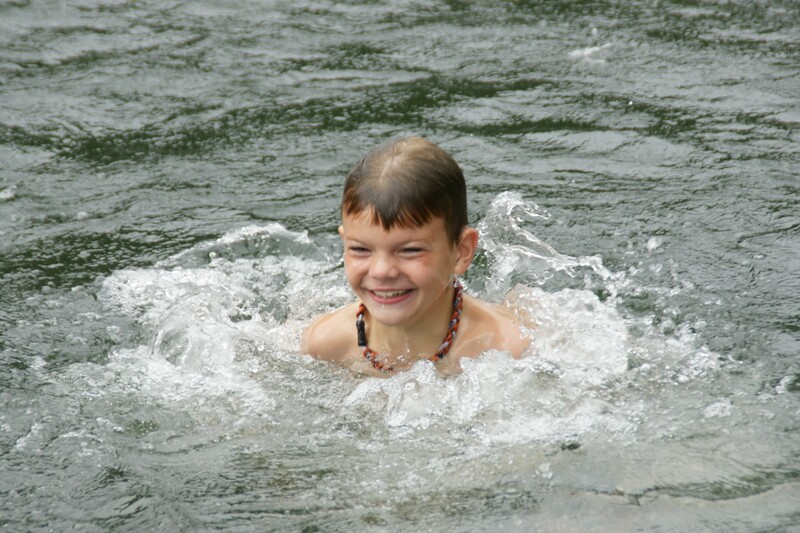 There are two swimming areas: Main Dock with the 72-foot slide; and Richmond Dock where the campers build a rock dam all the way across the River. 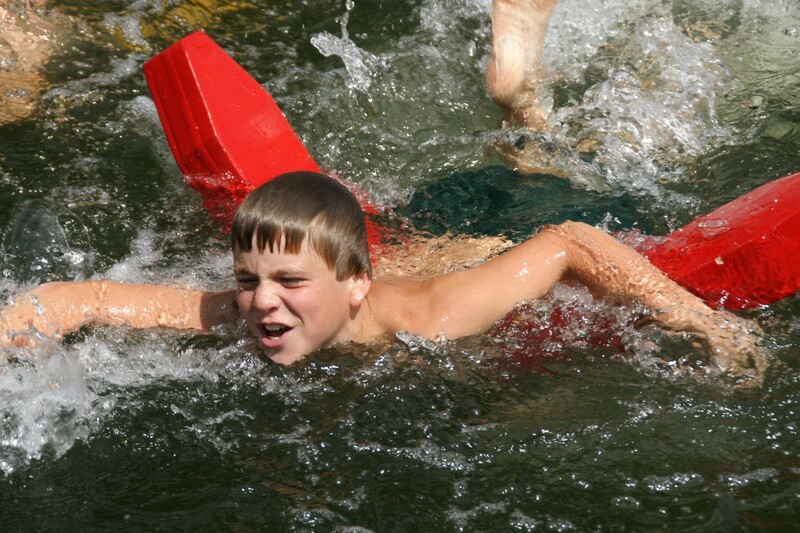 There is a certified lifeguard on duty at every waterfront activity. 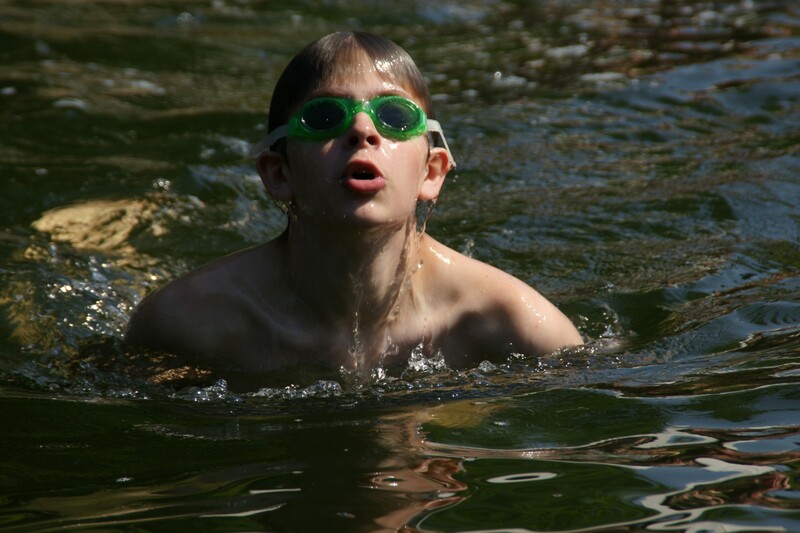 One of the first things every camper does when he arrives at camp is to take a zero swim test. 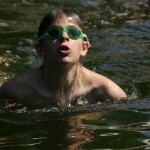 This test lets the waterfront staff know each camper’s swimming ability. 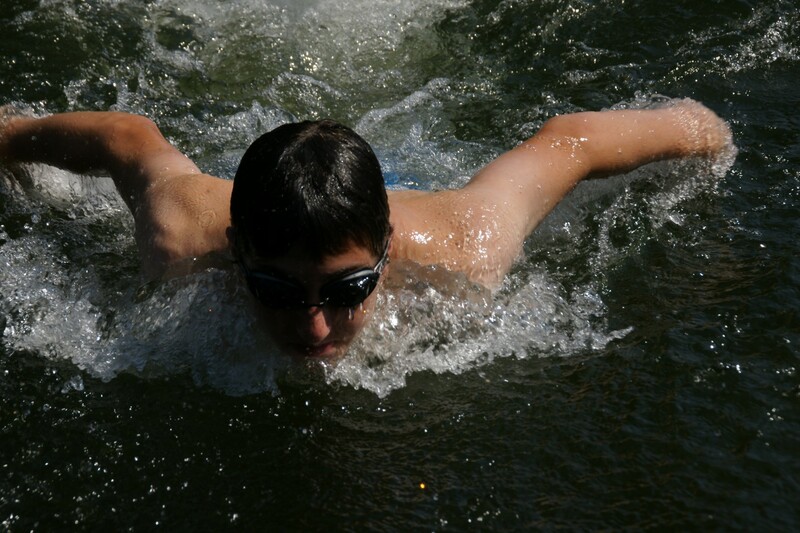 There are three free swim periods during the day open to every camper.